Keran and The Network Group has a long history of supporting the community, both through supporting charitable organisations who work with defined goals (including some of the most renowned charities in the country), and through direct donations and collections for groups in the community who are in need for any number of reasons. Her take on philanthropy is that there are many worthy causes, preferring, where possible to help with immediate impact; The Network Group reacted quickly for a community where something unexpected, such as Black Sunday Bushfires occurred. Collections at Network stores nationally saw over 10 semi trailers of donated goods delivered to those in need within days. Over many years, Keran has worked with mental illness charities, supported medical work in third world countries, The Starlight Foundation & The White Ribbon Foundation to name a few. 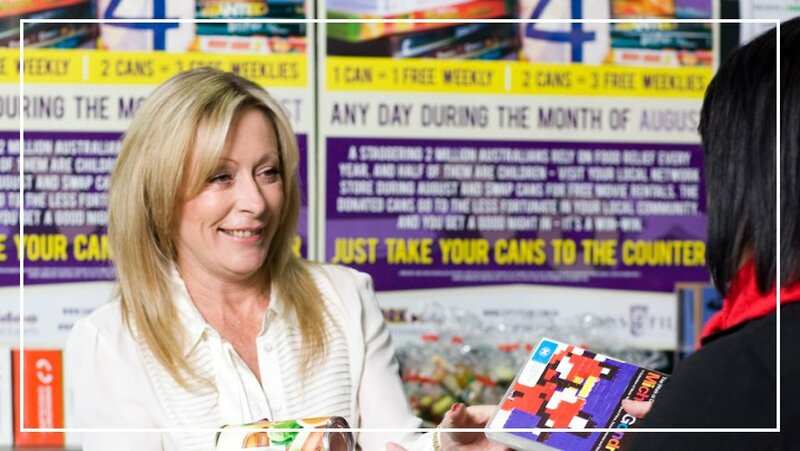 Additionally, The Network Group has run the hugely successful campaign Cans4Films over 5 years delivering food to ordinary Australians reliant on donations to regularly feed themselves and their families. The end result – over 150 tonnes of food delivered to hungry Australian children and families.